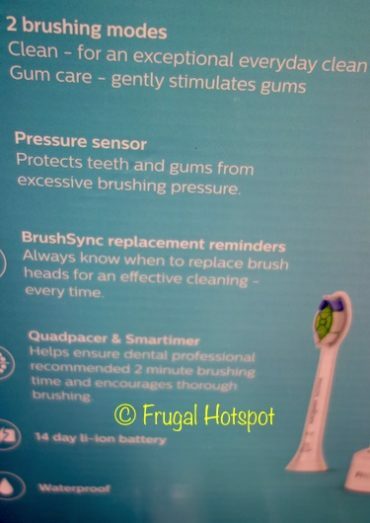 High-speed vibrations in this Sonicare toothbrush handle power up to 31,000 brush strokes per minute that whip up your toothpaste into plaque fighting bubbles, driving them deep between your teeth and along the gum line for exceptional cleaning. 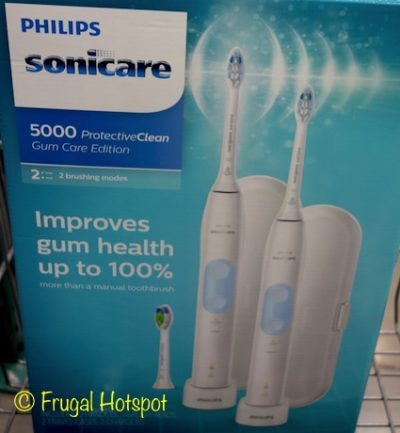 Select Costco locations have the Sonicare 5000 ProtectiveClean Gum Care Edition 2-Pack Rechargeable Toothbrushes on sale for $74.99 (after instant savings), now through April 14, 2019. That is $25 off Costco’s regular price of $99.99. While supplies last. 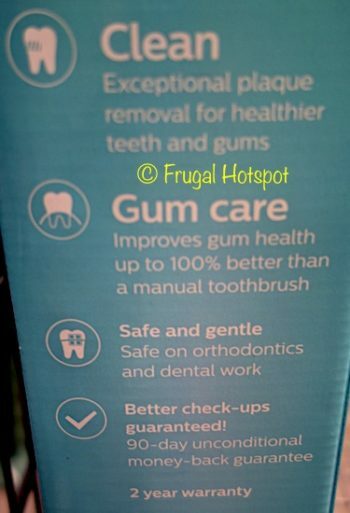 Clean mode delivers superior cleaning, while Gum Care mode adds an extra minute of reduced-power brushing, so you can gently massage your gums. Item #1858210. Model HX6829/71. This product was spotted at the Covington, WA location. Price and participation may vary so it may not be available at your local Costco or it may not be on sale at your local Costco or it may be a different price at your local Costco. Prices & sales dates may change at any time without notice. Photos may not be a perfect representation of the product.